There are many questions to consider when thinking about participating in a physique competition. Scott Keppel, former body building competitor and Owner of Scott’s Training Systems has worked with a variety of individuals. His skills and expertise cover a wide range of areas. 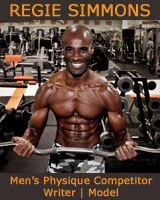 He has coached everyone from pro physique competitors to individuals enrolling in their first show. In this article Scott shares answers to the questions most commonly asked by those considering physique competing. What's the best way to determine which competition to enter? The best way to determine which competition to enter is to look at past winners from the various organizations and categories. Realize each organization has “its” look for a specific class and obviously the look of a bodybuilder is different than men’s physique (or at least it should be, particularly within that organization). Certain federations may look for a fuller look, while others may want a tighter leaner look. Assess your physique and go from there. What are the various elements involved in competition? There are a number of elements involved in competing. I feel for many the most crucial will be the diet. Do you need to gain? Lose? Should you carb cycle? Carb deplete? Pull water? All these variables and more come into play. Resistance training and cardio are also critical and depending on the client, the class he is entering and the organization can all contribute to how these should be manipulated. Suit selection and tanning are 2 other important elements. How much does the average competition cost? The average competition cost for a male will vary depending on what class he is entering along with the organization and whether or not it is a national or local show. Men’s physique suits can range $35-$100, tanning cost is typically $100-$150, registration and entry fees can be up to $200 per show, bringing the total to $400-$500. Is it important to take posing lessons? Posing can make or break a competitor. A competitor may have followed the diet and workouts to a “T”, but if they do not know how to pose it can all be for not. In men’s physique knowing how to look relaxed while staying tight, smiling and engaging the crowd is crucial. In bodybuilding, execution of the mandatory poses and being able to stay big and tight while performing the ¼ turns are necessary for success. How far in advance should one commit to participating in a competition? The time frame to prepare for a competition will vary greatly due to one’s body fat%, comfort level on stage and type of competition. That being said, I feel 12 weeks is the closest one should start if it is their 1st bodybuilding show, preferably 20+ weeks. For Physique competitors the time period may be shorter since they typically don‘t have the extensive “bulking“ phase. What are strategies for individuals living in more remote locations who are interested in doing a competition? If one lives in a remote area and/or an area with limited options in regards to training, he may want to hire a trainer online. Online training can be just as effective as long as the client sends weekly progress photos, food logs, exercise logs and I suggest a weekly Skype or phone session. How can you ensure you find the right trainer? Finding the right trainer is always a challenge. I suggest you not only look at his/her track record, but research whether or not the trainer has trained competitors in the past. How did his/her competitors look? How did they place? I also suggest you talk to some of the trainer’s clients and/or former clients and find out why they train there or no longer do. What are common fears people have when making the decision to participate? One fear an individual may have when competing is whether or not he will be lean enough. Others may worry about being big enough. Some will be concerned with their posing, suit selection, if required - music, posing routine, posing in general and/or color. Researching the competition you are looking to enter along with hiring a professional will help put your mind at ease. Scott Keppel, Owner of Scott's Training Systems and a former body builder specializes in: training individuals for bikini, figure, physique, fitness and body building competitions. Scott is also the official trainer for Miss Arizona USA, Miss Teen Arizona USA, Miss Utah USA, Miss Teen Utah, and Miss Arizona America. With specializations in pre/post natal training, post breast cancer recovery, weight loss (he is the official trainer for the Weight Loss Institute of Arizona) he is striving to be well rounded and use the approach that everyone needs the right plan for them. 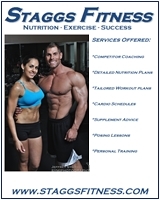 Visit www.scottstrainingsystems.com for more information.